In some days the first trial against spokespersons for the Reclaim Power action on December 16 will start. 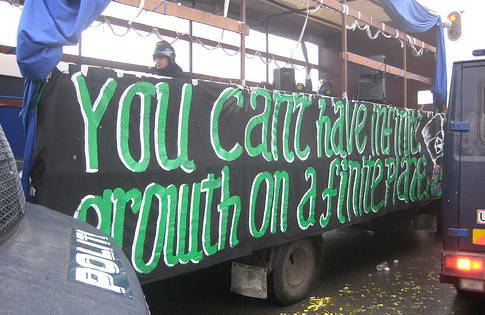 On March 16 Natacha Verco og Noah Weiss are faced with charges for having been leaders of an action that is claimed to be a violent threat towards the police. They were detained for three weeks and are now charged on grounds that can result in prison terms for several years and expulsion from Denmark. Five more spokespersons are accused of a variety of crimes but all share the charge of planning to disrupt public order and planning to commit violence against the police. Interestingly there are many spokespersons for the Reclaim power action that have not been arrested and that are those representing large popular movements. Among them were Henry Saragih, general secretary of Via Campesina, an organisation with some 200 million members world wide and the biggest of all global popular movements. There were also Judy Nacpil from Jubilee South, Wahu Kaara from People’s Movement on Climate Change and Kenya Debt Relief Network, Jihan Gearon from Indigenous Environmental Network and others. The broad representativeness of the spokespersons for the action shows what important issues were at stake for 2 billion peasants world wide, for all indigenous people, for all suffering from debt and for everyone concerned about the future for our children. 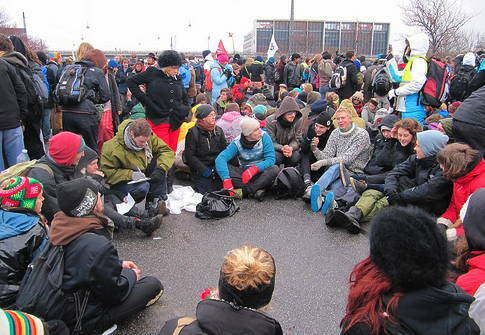 To non-violently establish a People’s Assembly inside the Bella Center area by civil disobedience is fully legitimate when such a historical threat against the survival of the billions the movements protesting represented. Thus when the trials start it is the world that is put on trial by the Danish authorities. The Reclaim power action was jointly organized by several organizations in the Climate Justice Now network and Climate Justice Action. How come than that the leaders of mass movements are not put on trial? One could argue that they were spokes persons for the action from the inside that partly was treated differently than the action on the outside. The inside action was threatened with mass arrest and 100 out of 200 stepped out of the confrontation but 100 continued and the front persons on a narrow bridge was hit hard by the police that violently stopped them with their batons so they could not come to the people’s assembly. But there are no reports about arrests. Thus one could argue that the inside action was of a totally different character than the outside action and thus that there is no reason for putting them on trial. But this is false. Judy Nacpil representing Jubilee South belonged according to the list of spokespersons to the outside action. She also participated and talked at the People’s Assembly. The reason why it is only activists living in Denmark or Europe that are put on trial is simple. They have been betrayed by Danish organizations that not only before but also during and after COP15 have refused to make a common effort to stop the repression of non-violent civil disobedience. The even refused to make a collective effort to protest against the mass arrest of more than 900 innocent demonstrators in the December 12 demonstration to which they had invited people from the whole world. Key organizations as the Socialist People´s Party and the social democrats preferred to support the police instead of the demonstrators and the official spokes person for the demonstration did not talk about that the mass arrest was unacceptable but onlky that it was disproportionate. Almost all Danish organizations refuse to collectively defend the climate protesters and so was the anti repression demonstration on December 18 supported by all the global popular mass movement as Friends of the Earth and Via Campesina but not by Danish organisations. 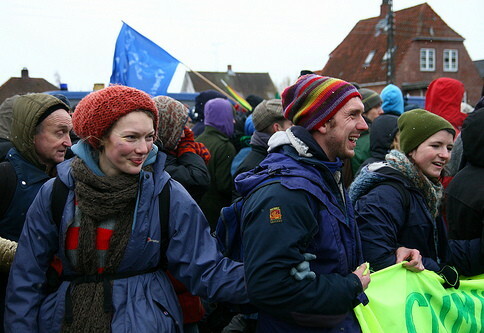 A main reason for this cowardice and frankly speaking betrayal of the demonstrators they had invited from the whole world was that every formal Danish organization, also all left wing and radical ecological groups, refused to support the Reclaim power action, with the exception in the last minute of Attac. It is hard to interpret it otherwise. The possibility that they could support mobilization against repression even if they were against the action did not struck their mind. On the contrary at the broadest evaluation meeting so far in Denmark when there is an acute necessity of organizing solidarity before the trials the representative from ActionAid in Denmark sees that the most important thing to discuss is how to have everyone to agree to that the black block must be thrown out of demonstrations. At the same time of course Actionaid likes to tell the Danish population that they do cooperate with true popular movements from the South as with Wahu Kaara that has been their cooperation partner in the past. To Danish formal organizations it seems as if politics is a game were it is not necessary to be accountable. Third world people are there as a decoration. To arrest them would be dangerous for the image of Danish organizations and the state. Thus when the police identified people from outside Europe in the 40 man strong delegation from CWI they were immediately released. The People’s Assembly were many from the third world participated was also not mass arrested although the police easily could have done so. 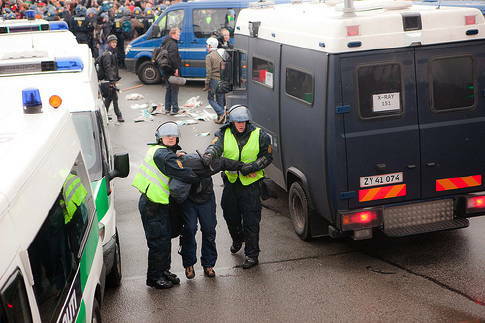 As the Danish state did everything to exclude the low-income third world countries in the negotiations it was necessary to maintain a democratic image by not arresting them on them on the streets as well. They look also nice on the photos on the Actinaid website showing how much Danish organizations are doing with governmental funds to help poor people. To destroy that image would be bad for the reputation and thus for business. But hitting activist that constantly are presented as violent by both the state and the many formal organizations that claimed that the Reclaim power action was automatically going to be violent is in Denmark fully possible. There is no collective will to stop the repression. If one asks a member of any of the communist parties or environmental organizations about why they do not collectively respond to the repression the answer is like coming from a person with no ears. They all state that my organization have made a statement against the new law package or against some of the police acts. If you then tell them one more time that politics is about collective action and that the question was not about what they as individual organization have been doing but about what they do jointly they look as if they are in a kindergarten and can say they do not know what to do. It seems as if they are not able to protest in common repression because they all were against the mass movements from the south that claimed that the situation is so serious that the Reclaim power action has to be carried out. 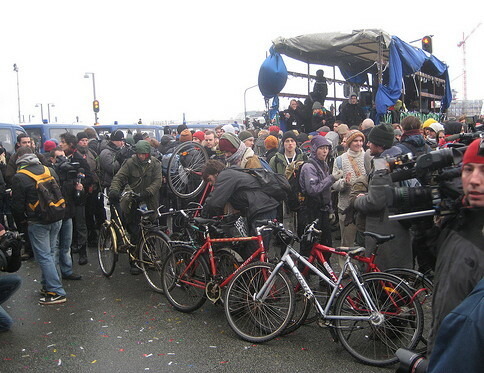 If the Danish organizations would collectively protest against the trial they would be reminded of that they had the same perspective on the reclaim power actions as the police, it is the activists that are violent, the police is only doing its job outside a legitimate assembly. In the choice between not loosing their face and doing politics against repression they seem to prefer avoid facing the truth. Better have my own reputation kept instead of really work for changing the repressive Danish political culture. Cynicism and image is everything, hope and solidarity nothing. One can even wonder if the refusal of collective response on the mass arrests of demonstrators on December 12 was because many key organizatiosns saw a need in supporting the police throughout the whole COP15. Especially during the coming Reclaim power action which they had predicted would be violent. 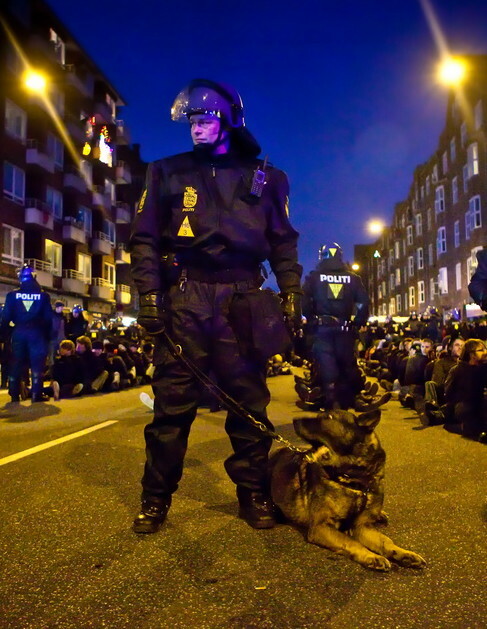 Why collectively support the mass arrested demonstrators when this can make it harder to fully support the police in the struggle against the Reclaim power action is the underlying logic behind many Danish organizations thinking and behaviour. Thus the Danish organizations have moved Europe 100 years back in history by their refusal before, during and after to collective challenge the repression. Under normal circumstances have the European states so long ago understood that leaders of popular movements should not be put in jail for what movement activists might do. This escalates conflicts and makes it harder to find peaceful solutions. But in Denmark this old tactics from the 19th century is now reintroduced. This is a threat against all popular movements in the whole world. Everyone who has the possibility should take part in the action that now has been started by CJA. Sign the petition. Spread the world. If you have contacts with Danish organizations, call upon them to act collectively. 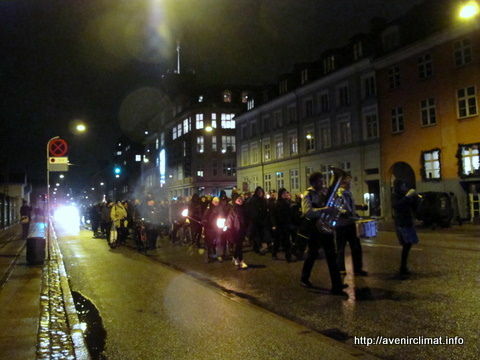 On March 11 there is a demonstration in Copenhagen to support ahead to the trials. It is of importance that a country that so aggressively attacks non-violent participatory democracy is called in question together with every civil society organization that refuses to protest against the repression. 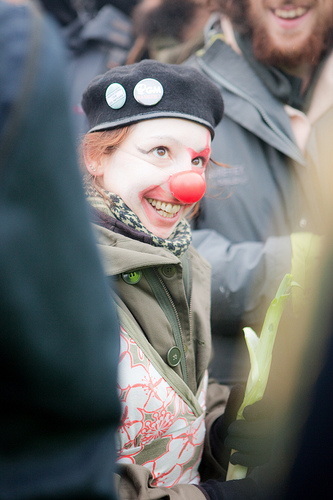 To inspire people I have made a blog post with links and many creative common photos from the Reclaim power action. 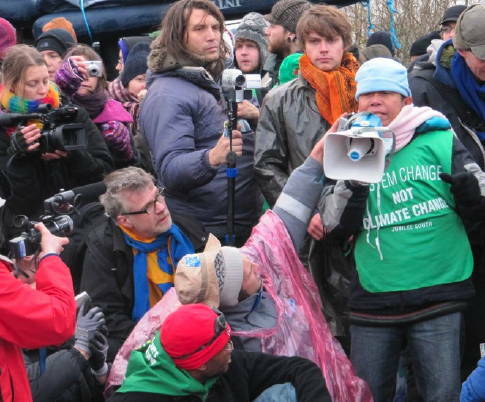 Let us keep this very good moment of the COP15 protest alive!